Due to e-commerce space that has widely increased since the past few years, there is more time that goes in shopping online rather than the regular offline shopping. 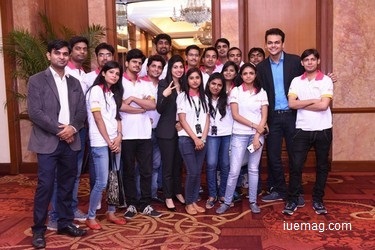 Here is a startup that has added uniqueness to its portal and can help you find your needs in lesser time. Read on to know its story of evolution. 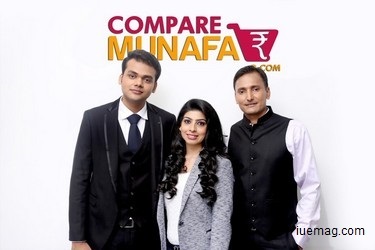 Compare Munafa, an e-commerce portal that was founded by three young leaders - Kanchan Sukhija, Vivek Agarwal and Harsh Maur, has had more than 25,000 subscribers to its portal in the last seven months of execution. While Vivek, Alumina of the Nottingham University Business School, takes care of the overall business development having had experiences on venturing many other businesses, Kanchan, who is a bachelor’s in business management and masters in finance from Nottingham University Business School and the University of Southampton for Actuarial Science, works on executing the strategic goals for the company and the technology aspects of the company are being managed by Harsh, a tech genius, who had begun developing websites as a freelancer from the early age of 18. Before we learn more about the utilities of Compare Munafa, here is a quick short story behind the conceptualization of the product. Kanchan was then planning to send her mom a gift through an e-commerce website and bought a mobile phone for a nice deal. When she was discussing about this with Vivek and Harsh, she was told that she would have got the same phone for a better deal had she spent a little more time in researching. This was when she asked, “Why don’t you create a platform to help find the best deals?” They laughed at it as a joke. It was after sometime when Kanchan received a message saying “Why don’t we actually take the discussion serious and create a portal?” This sounded like a good plan and the three of them once again sat together to actually discuss and make it a reality. Although there were challenges at times when what was planned would not reflect the same way in the product or at times when they were not able to meet their own requirements, each of them helped the other stay motivated. “Luckily there were 3 of us kept constantly motivating each other when one felt low. That is the best part about working as a team. We were mentally prepared for challenges as well. We knew that the early phase isn’t easy to face. The way we consider challenge is all that matters” she adds. The product got launched in august 2015, after which there have been overwhelming responses from people around. Friends and relatives became their best advisors. A lot of them were surprised to know that Kanchan had actually quit her highly paid job to start Compare Munafa. The word of mouth and the marketing by the founders themselves, began to build the customer base and the portal has so far had more than 25,000 subscribers and continues to increase each day. The profit margins have gradually increased through the months. Compare Munafa currently has about 22 members in the team, who sit together at workplace, involve in discussing every aspect of the platform, not their part of work though. “That is the best part about working in a start-up! We do not have predefined roles as such; we do what we are good at, and also learn what we do not really know” says Kanchan. As the team continues to have talks with investors who could fund for betterment of the product, they continue to enhance the features even before the emergence of competitors. With the increase in the number of e-commerce platforms, it has become harder for the customers to look for their requirements in a single platform. Compare Munafa has become a boon for every person who loves to shop online, helping him/her find the best deal . Such ideas help more youngsters believe that there is no end to innovation and creativity. Inspiration Unlimited eMagazine wishes the team of Compare Munafa, the very best for an endless growth and prosperity.